In a town in northeast China where “going Japan” was a widely shared goal, how did Chinese women enact and experience cross-border marriages with Japanese men? This paper looks at one bride-sending community in northeast China where one in four people claimed to have relatives living in Japan. In this context, finding a Japanese husband through a commercial marriage broker became a gendered site of investment for many Chinese women. However, marriage was not a simple means to an end. The fact that their border crossing involved marriage meant that their experiences were intricately shaped by the norms and meanings of marital practices and rendered them dependent and insecure subjects. Based on multi-sited ethnographic work, this talk will address women’s hopes, struggles, and pressure in these cross-border marriages. 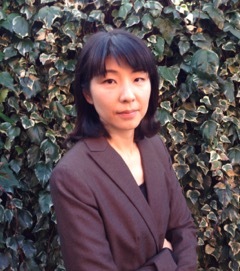 Chigusa Yamaura is a Junior Research Fellow at Wolfson College and a Research Associate at the Nissan Institute of Japanese studies, University of Oxford. She received a Ph.D. in Cultural Anthropology from Rutgers University in 2013. Her work on Sino-Japanese cross-border marriages has been published in the Journal of Asian Studies and Anthropological Quarterly.